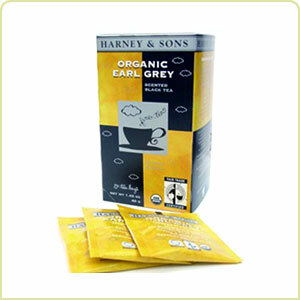 Harney & Son's Organic Earl Grey Tea. A blend of hand picked black teas from India. Scented in the traditional way with the essence of oil of Bergamot.A Citrus scent as it steeps before taking a sip of this cup. A perfect and well-known afternoon tea.